Honda’s perennially popular compact SUV is redesigned for 2017. The new CR-V grows a bit larger overall for better passenger and cargo room, and adds several new comfort and safety features. All but the base LX model get a new engine as well—a 190-horsepower turbocharged 1.5-liter four-cylinder (the LX carries on with the previous-generation 184-hp 2.4-liter four). Both engines are paired with a CVT automatic transmission. The higher trim levels of the CR-V get a bit more exterior brightwork than their lower-priced stablemates. Dual chrome exhaust tips are a standard feature of the Touring trim level. Staff opinions were divided on the unusual wheel design. The expanded passenger and cargo room is a definite high point of the CR-V’s redesign. The new CR-V is slightly longer in wheelbase and overall length, and width and height are increased a bit as well. As a result, rear-seat legroom is bumped up by two inches and cargo capacity is notably improved: the area behind the second-row seats grows to a generous 39 cubic feet (2 cubic feet better than the previous CR-V), and that expands to an impressive 75.8 (4.9 cubic better than before) when the second-row seats are folded. These numbers handily trump most compact-SUV class competitors, and are in the ballpark of some two-row midsize SUVs. All in all, the CR-V gets high marks for interior space efficiency—it simply feels bigger on the inside than it does from the outside. Like previous-generation CR-Vs, the new model never feels bloated or unwieldy from behind the wheel; it’s still sensibly sized and very easy to park. The CR-V boasts plenty of other cargo- and passenger-hauling assets beyond its generous space. The rear cargo area’s load floor is laudably low, which makes it easier to load heavy boxes and large items. There are handy latches in the rear cargo area, so the 60/40-split second-row seats can be folded in a jif while you’re standing at the liftgate. The liftgate’s opening height is also adjustable… a nice convenience feature. Both the front and rear doors open at a nearly 90-degree angle; this makes entry and exit a bit easier, especially if you’re getting little ones in or out of a car seat. Also contributing to easy entry and exit is the CR-V’s “just right” seat height—high enough to not require crouching or bending, but not so high as to necessitate an awkward step-in. The CR-V offers excellent passenger room in both the front seat and back seat. 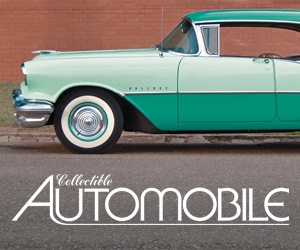 EX-L and Touring models come standard with leather upholstery and a leather-wrapped steering wheel and shift knob. The 2017 CR-V’s newly available features include rear cross-traffic alert, remote engine start, dual-zone climate controls, heated power mirrors, and a hands-free power liftgate with an adjustable height setting. Our tester was the topline Touring trim level, which is as loaded as you can get a CR-V. It had all of the above-listed gear as standard equipment, as well as a navigation system, rain-sensing wipers, and automatic high-beam headlights. 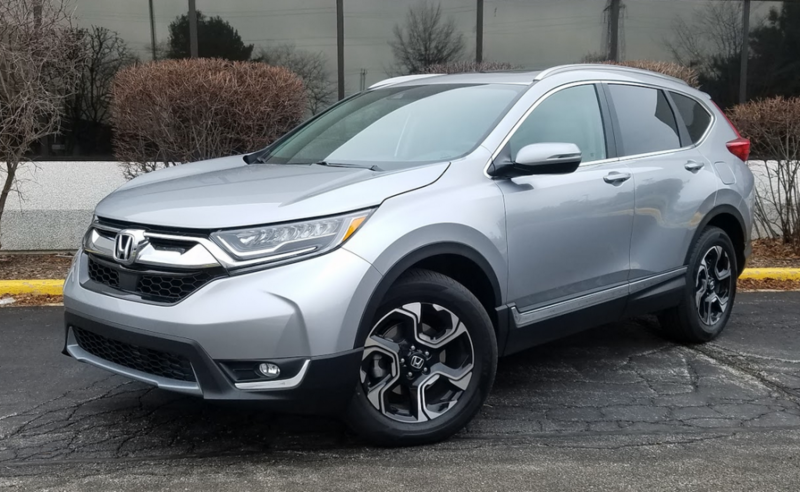 Similar to its larger Honda Pilot sibling, the CR-V’s interior is comprised of high-quality, nicely assembled materials, but the overall ambiance leans more toward functional than flashy. Still, some classy wood trim inserts and satin-silver accents add a bit of eye candy. The Touring’s standard sunroof’s housing intrudes a bit on headroom for extra-tall front-seat passengers, but the cabin is otherwise spacious in the front seat and excellent in the back seat as well. The dashboard layout is clean, and most controls are logically located. After receiving plenty of complaints about the tricky-to-use virtual-button volume control that was integrated into its touchscreen infotainment system, Honda has added back a traditional physical volume knob on the CR-V. Like most users, we prefer the physical knob to the previous fidgety touchscreen control. However, the new knob still looks and feels like the after-the-fact addition it most certainly was. Small-items storage is on par with class competitors; the deep center-console storage bin—complete with dual USB ports (one is 1.5A, the other 1.0A), a 12V outlet, and a clever “dual-tier” removable sliding insert—is a highlight. The CR-Vs cargo area is spacious behind the second-row seat and… uhh… extra-spacious with the second row folded. The low load floor makes it easier to load extra-large and/or heavy items. The new turbo 1.5 engine gets the CR-V moving OK, but acceleration is never really more than OK. If you’re looking for a compact SUV with real pep, we’d steer you toward a Ford Escape with the 245-hp 2.0-liter EcoBoost engine, or a Kia Sportage with the 240-hp turbo 2.0. 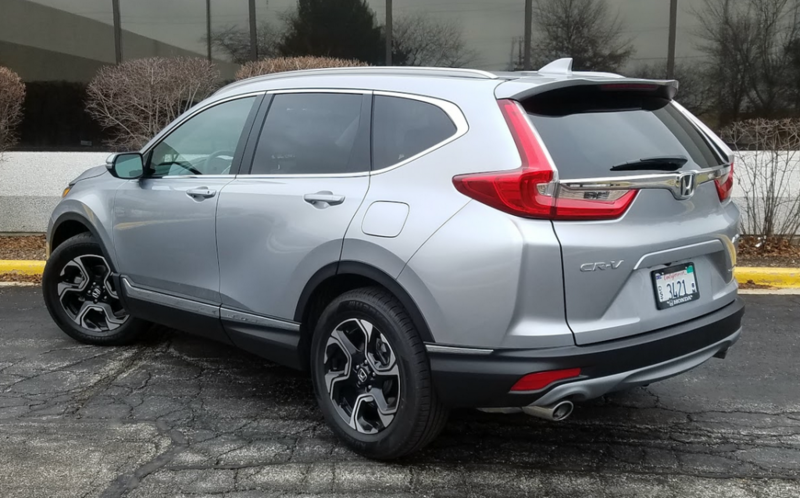 Though the CR-V’s cabin is quiet overall, the engine groans hoarsely when you dip heavily into the throttle, and the CVT’s characteristic trait of keeping the engine rpm high during fast acceleration exacerbates the racket. It may not be particularly quick, but the CR-V is relatively nimble for its size. Handling is confident and predictable overall, with nicely weighted steering and a chassis that remains composed over most bumps and rough pavement. However, the ride quality isn’t quite as cushy as some class competitors, and the CR-V certainly isn’t threatening to take away the Mazda CX-5’s crown as the handling champ of the compact SUV class. The CR-V should end up as one of the compact-SUV category’s fuel-economy champs, however. We averaged 26.2 mpg in 65-percent city driving during our test—that’s a bit off the EPA estimate of 27 mpg city/33 highway/29 combined, but still a more-than-respectable number for an all-wheel-drive compact SUV that offers this kind of space. The as-tested $34,635 price of our CR-V Touring is in step with top-line versions of class competitors, but the midline EX and EX-L models probably represent the best values in the CR-V lineup. We wish Honda would offer stand-alone options, but other than a navigation system for the EX-L, there aren’t any. So, if you want the convenience of that hands-free liftgate, you’ll have to step all the way up to the Touring model and pay for the LED headlights, a navigation system, ambient interior lighting, and so on that you may not be interested in. In light of the deep roster of continuously improving rivals—such as the recently redesigned Kia Sportage, the new-for-’17 Mazda CX-5, and the smartly refreshed Toyota RAV-4—the CR-V isn’t the class standout it once was. However, its space efficiency, economy, and all-around refinement still make it a must-see when you’re shopping compact SUVs. The CR-V offers excellent passenger and cargo room within its sensibly sized exterior dimensions. Written by: The Daily Drive staff on March 16, 2017.on March 22, 2019.